The popularity of fashion blogging has boomed in the last few years, with bloggers sitting front row at Fashion Week and becoming commentators within the traditional media landscape. From personal style photo shoots to eBay wish-lists, many fashion bloggers focus on sharing new purchases and bargain buys with their readers. Fast fashion is often at the heart of these posts but looking stylish on a budget isn’t always ethical. The collapse of a clothing factory in Bangladesh last year, killing 1133 people, sent shockwaves through the fashion world, and alerted many of us to the poor conditions that the people who make our clothes sometimes work in. 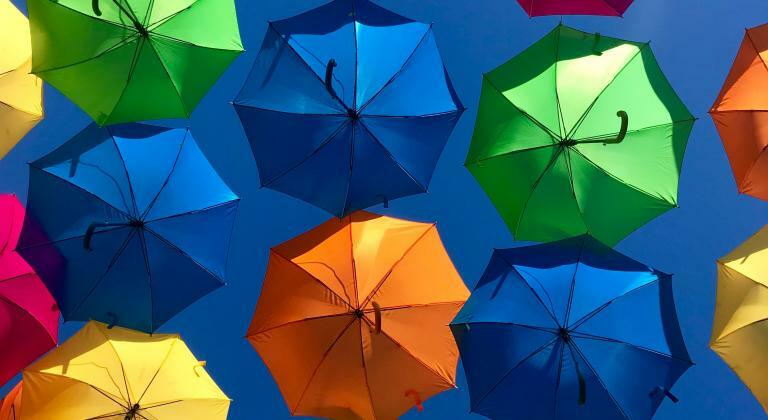 In reaction to this, Fashion Revolution Day will take place this Thursday, 24th April, to further raise awareness about the issues the industry faces, and aims to reconnect fashion lovers with the people who make their clothes. In support of this great cause, we’ve compiled a list of our favourite ethical fashion bloggers, who offer tips on how to make your wardrobe a better place. 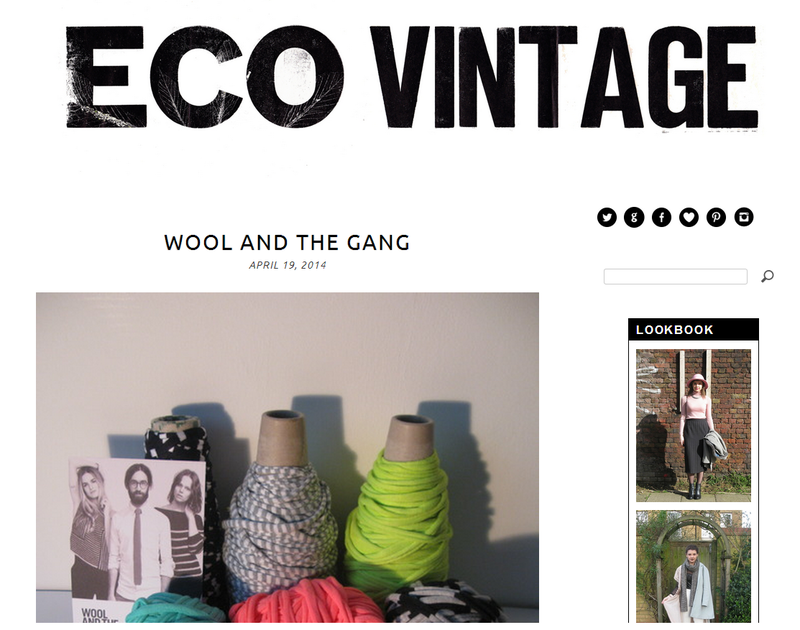 Eco Vintage is the creation of Textile Design student Katie Thomas, who blogs to show people how fashion and a care for the environment can go hand in hand. All of the items featured in posts are sustainably bought from charity and vintage shops, or brands that are environmentally conscious. As well as outfit posts, Katie also features ethical designers and show reports from Central Saint Martins College of Art and Design, where she currently studies. Moral Fibres is a lifestyle blog run by eco-friendly super mum Wendy Graham. 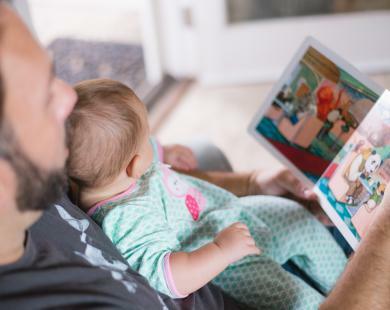 The site covers a number of areas from parenting to travel, and aims to show the reader how to live a green life without compromising their sense of style. The Life & Style section is our favourite, and is packed with ethical eye candy from vegan bags to buying guides and the latest environmentally conscious brands. 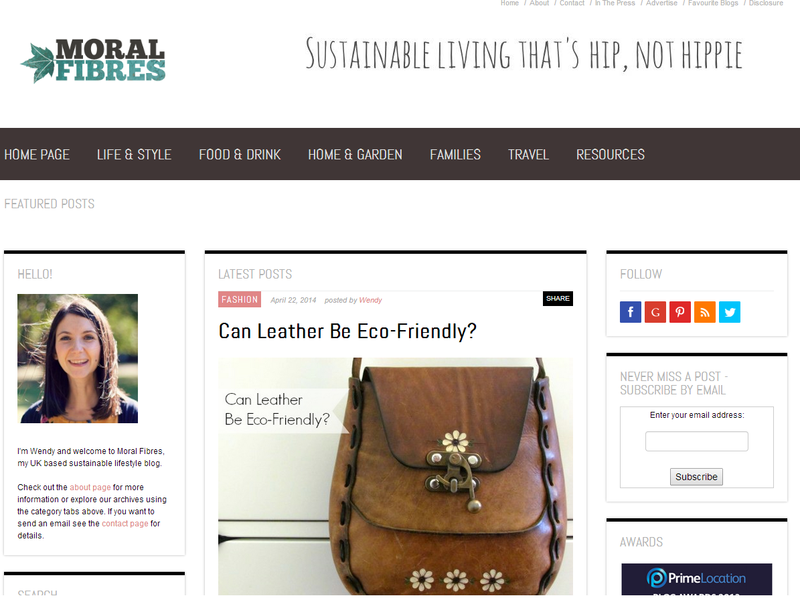 Moral Fibres is also packed with unbiased information about where to shop, as well as offering giveaways and discount offers on ethical products. Charity Shop Chic is a real gem that will change the way you think about second hand clothes forever. The blog follows Sally’s mission to ‘rescue used and abused clothing’ from charity shops and vintage outlets and turn everything from old shirts to bed linen into fashion-forward garments. Some fairly outdated clothing is transformed with a little alteration, resizing and refashioning. 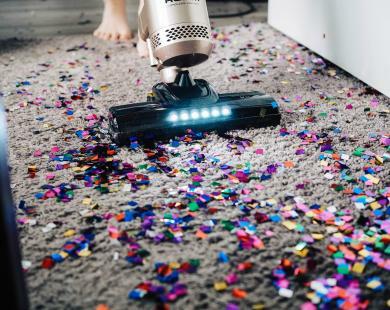 A master class on how to look fashionable and be kind to the world, by reusing other people’s cast offs – one read of this will have you reaching for your nearest sewing machine, quick smart. Style Eyes focuses on looking fashionable with vintage, second hand and ethical clothing. 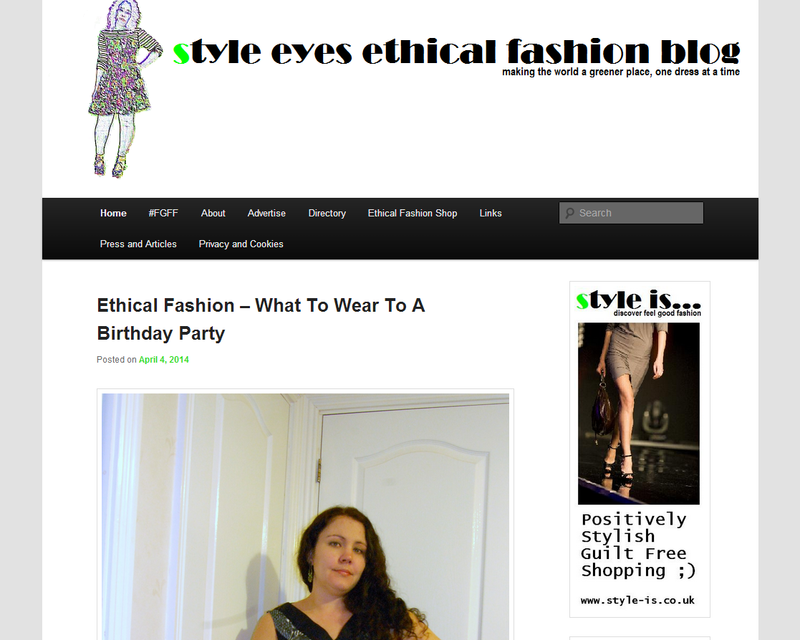 The personal style blog is run by Ceri Heathcote, who also contributes to The Ethical Fashion Forum Intelligence Magazine and Oxfam Fashion, as well as running her own search engine-style website that sources the best ethical fashion from around the web. From outfit posts to ethical product launches, there are plenty of reasons why Style Eyes should be on your reading list, not least because of its extensive ethical shopping directory. If you’re feeling crafty there are also some interesting DIY projects to help you transform your wardrobe. 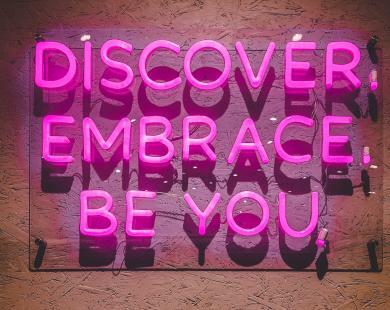 Delving deeper into the necessity for ethical fashion, Adore, Reflect, Sustain follows PHD student Emma Waight on her journey to educate her readers on their sartorial choices. Emma is a regular contributor to Oxfam Fashion and has been featured in The Guardian, thanks to her involvement in the ethical fashion movement. Emma describes herself as ‘on a mission to change the way we shop’, and her posts on ethical brands and designers are inspirational for anyone interested in ethical fashion. These fashion bloggers all share a belief that you can dress in an ethical way and still look amazing. With a little knowledge about the brands to buy from and how to alter second hand clothing, you can make sure that your wardrobe not only makes you look good but feel good too. 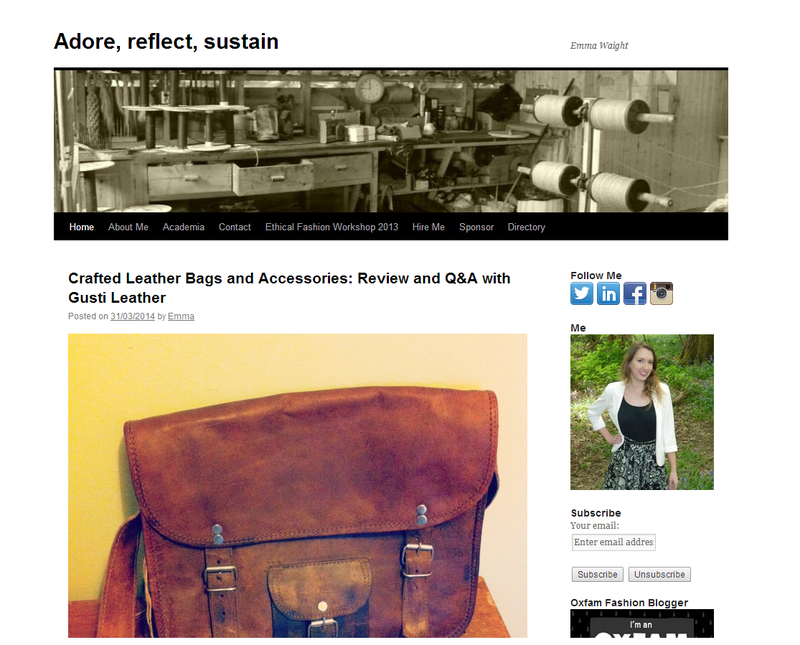 Do you know of any great ethical bloggers we haven’t covered? Let us know in the comments. Thank you sharing your list! Please take a look at my friends new idea at http://www.lostinsamsara.co.uk a project to encourage more sustainable ways of producing and therefore living. Great list! Be sure to check out Re:new Project at http://www.renewproject.org as well! Thank you so much for this list, I’m checking these ladies out now! I started an ethical fashion pledge around 6 months ago and it is great to find other people who can inspire me along the way! Great post.. These 5 blogs have been really inspiring! 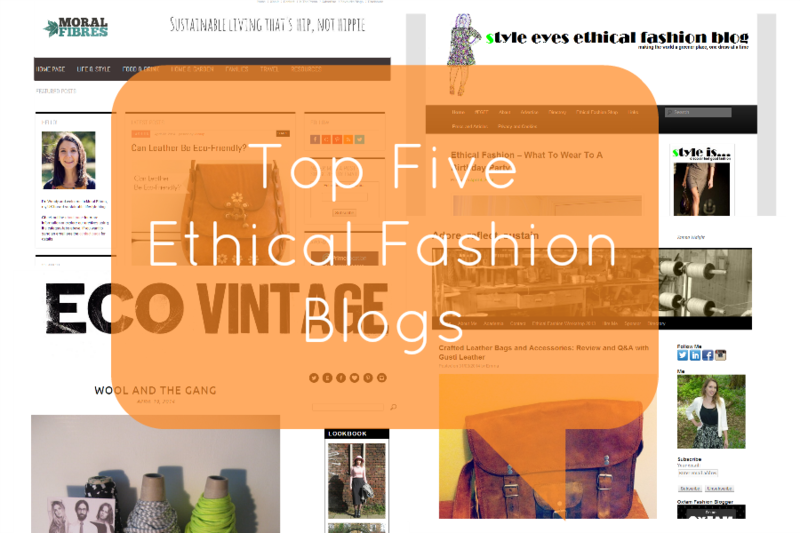 Thanks for sharing that’s 5 ethical fashion blog. well done! these 5 blogs have been really inspiring! 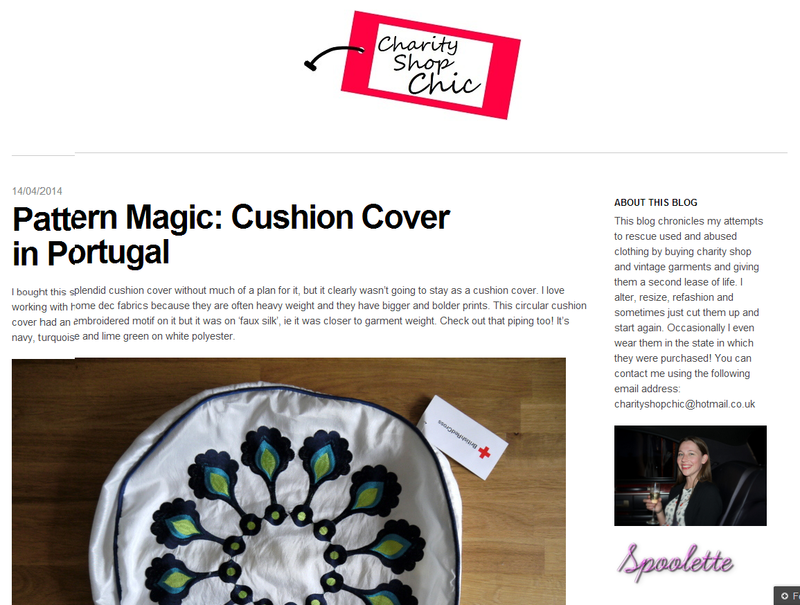 I work for Offset Warehouse, the online ethical fabric shop, and they have two really interesting blogs that fit both crafters and designers needs! http://theswatchbook.offsetwarehouse.com and http://sewobsessed.offsetwarehouse.com highly recommended! !